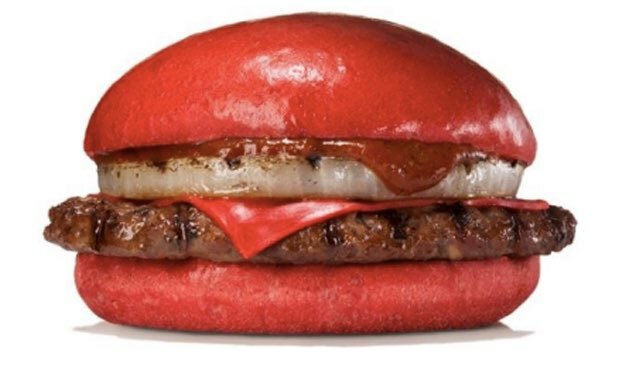 What you’re peeping at here is a Samurai (Red) Burger from Burger King Japan. It features (as you can see) blood red cheese and buns, and red ANGRY sauce. Yum? 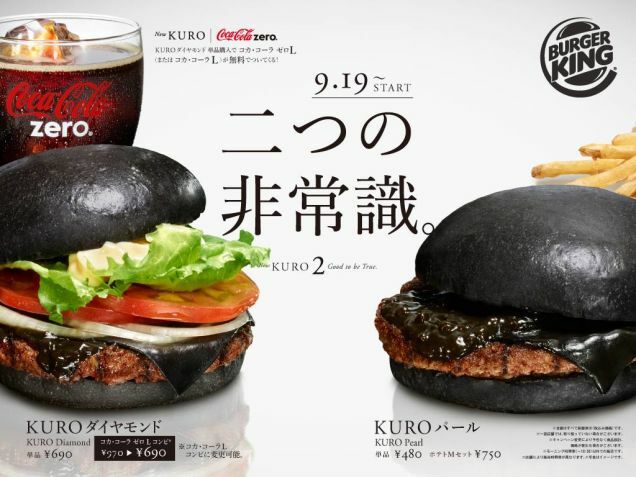 This follows last year’s Kuro (Black) Burger, which was all…black. Why? 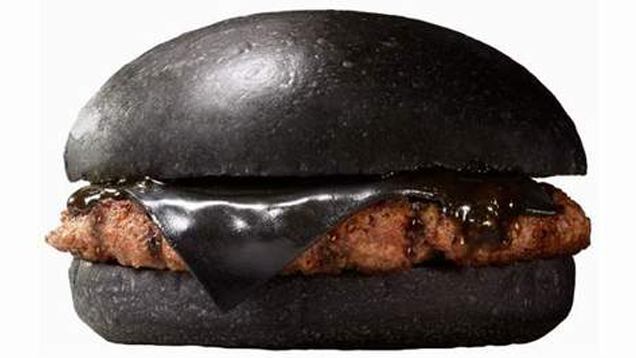 I’m not sure, but I have had the McTeriyaki Burger from McDonald’s Japan and it was delish, although not a weird colour.